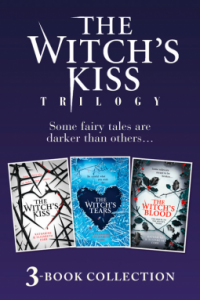 I was very excited to read this trilogy when I saw it available on NetGalley because… well, witches, fairy tales and magic. It had all of that in for definite, including a loose retelling of Rumplestiltskin which was refreshing to see, and the way it’s woven into the first book especially was very exciting. Ultimately though, this is a trilogy which has stuck in my head after reading but it just wasn’t one of my favourite reads. I think really it’s a case of it’s not you, it’s me, as a lot of people rate the whole trilogy very highly on Goodreads. ‘Can true love’s kiss save the day…? ‘Can true love’s kiss break your heart…? ‘Just who can you trust…? Where to begin… okay so I was really really looking forward to reading this trilogy. I adore witches and anything related to them and when I saw that each book had pretty high ratings on Goodreads I had to request it on NetGalley! However, this didn’t really live up to my expectations at all. I did have very high expectations and expected that I would love it but it just… fell flat for me. 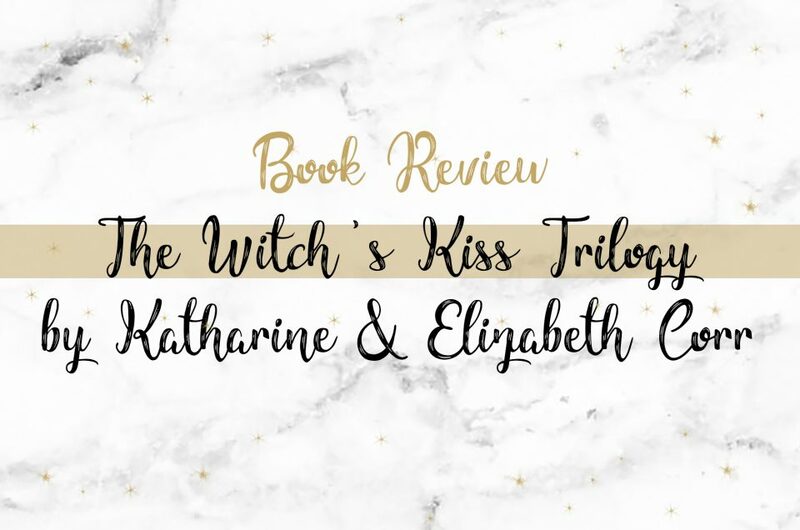 In the first book, The Witch’s Kiss, there were several issues which had bothered me. One being that Merry’s grandmother had a Facebook page for her coven but somehow didn’t have a mobile phone..? It just didn’t make sense to me. Small issue, but one which threw me off slightly. There was a romance issue too which I’ll address later in this review. One thing which I also thought about the first book though is that it could have easily been a standalone. There’s an obvious conclusion and the following books almost undermine the ending of the first book. The second book essentially introduces a completely new villain. It returns to the original story for reference and for the characters’ sakes but things become almost forced to tie in with the first book by the end of the second. The third picks up from the very end of the second book and concludes with a fairly positive ending. The Rumpelstiltskin element throughout the trilogy was certainly intriguing, though by the third book it seemed a little repetitive. Another reoccurring theme is also a romance element. One of these love interests happens to be someone who threatens Merry at one point which makes it a hard to believe romance. Her next is much more real and did add to the story quite a lot also. Characters wise, the main character of Merry is slightly grey. She struggles with magic and at first only uses it for selfish reasons. As the story progresses however she does become far more likeable. Her brother, Leo, has an interesting story arc of his own as he deals with coming out to his friends. Although he isn’t magical, he consistently proves to do his utmost to protect his sister and as such is an admirable character from the beginning. Their grandmother was another important character throughout the trilogy and was one of the most charismatic characters too. In terms of structure, there are various points throughout the trilogy when the narrative suddenly changes to that of Leo’s, without any way of marking it as such. That made it hard to follow at times as I had to keep going back on what I’d read to work out who’s POV it was in. This made it very difficult to stay in the zone of reading and kept confusing me a little too much. If it had been a chapter each time then it would have been much easier to follow but the fact that the scene would suddenly change along with the POV (yet only for a few paragraphs) was slightly distracting. This wasn’t a bad read by any means, it just didn’t meet my expectations and I didn’t feel compelled to finish it as soon as possible either. It was nice being able to read the whole trilogy in one, and of course in terms of value for money this is great for those with Kindles who haven’t yet read the series. ‘Hello from the Corr sisters! 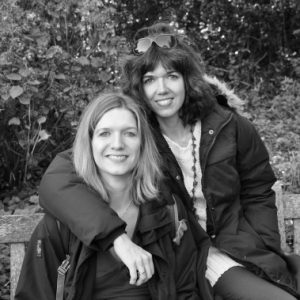 As well as sisters we are also best friends; try writing a book with someone else and you’ll see why that last bit is kind of important.